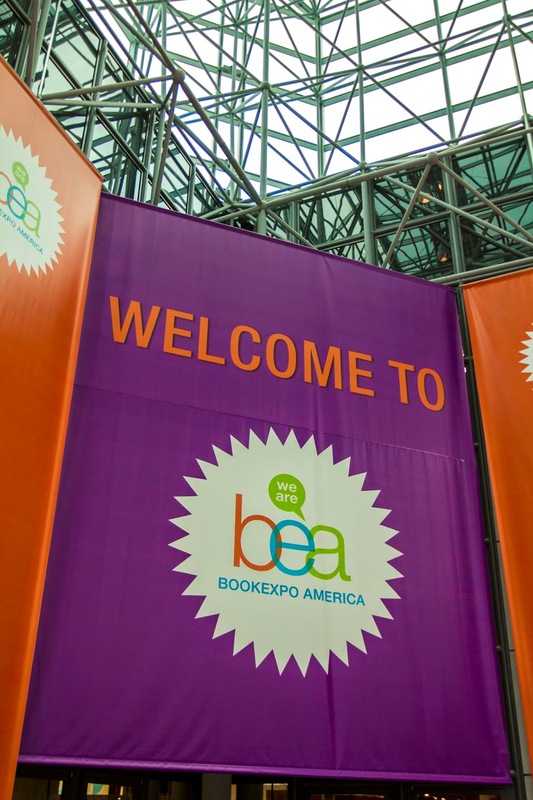 So, you’ve got your hands on a ticket to BEA/BookCon. You have made transportation arrangements and know where you’re staying once you get to the Big Apple. NOW WHAT? I've only been at BEA for two years. There are many bloggers who have been there for many more years than I, so I am by no means an expert. But, I've learned a few things via trial and error. If you're reading this and have any other tips to add, put them in the comments - I'd love to learn more! Remember my schedule from last week's post? Both years I've attended BEA, I've gone with friends. And, each year, we each made copies of our schedule and shared them with each other. That way, we knew where to find each other, and if one had a hole in her schedule, and another had too many places to be at once, we could help a friend out. The signing schedule doesn't break for lunch, so in all likelihood, neither will you. Do yourself a favor and throw a few granola or protein bars, packs of nuts, trail mix or some other such energizing snack in your main tote bag so that you can pull it out when you're in line and get peckish. Bring along a bottle of water for when you get thirsty. And, for goodness sake, pick up your morning coffee on the walk to the Javits Center, because the line at the Starbucks kiosk on the lower level is as long as those that you will wait in to get books later in the day. If you do find yourself with a spare hour or so to grab some lunch, the cafeteria on the lower level is actually quite nice, and the prices aren't as outrageous as you would think. Every morning, the bigger publishers will put out on their desks a schedule of signings and galley drops for the day. Now, granted, you will most likely already know about most of these - especially the signings. The publishers will announce those on the BEA website, and on their own, in advance. But, a lot of the galley drops will have specific days and times attached to them, which will be new information, which you can then work into your schedule. Every morning, as soon as I'm let into the main hall, I take the long way to my first signing and swing by all the main publisher's booths to pick up the daily schedules from the desks. Then, once I'm in line and have a few minutes, I pull them out and add the galley drops to my schedule. One thing you can count on at BEA is that you will have something in common with the people in front of you and behind you in line. You already have a ready-made conversation starter - What other books have you read by this author we're in line for? What's the book you've picked up that you're most excited to read? Do your feet hurt as badly as mine do? We're all kindred spirits, bound by a love of books, so make love, not war. And, if you're nice to the people around you, they will hold your place in line while you go to the bathroom. And, on the way back, if you happen to spy a galley drop, pick one up for your new friend as a thank-you. I guarantee, they will pay it forward. I know you've probably seen a dozen posts so far that mention what a black hole the Javits Center is for cell reception. Know what's weird? I've never had any problems getting decent reception there. So, I'm not sure if it's just certain carriers or what (I have Verizon). But, by the end of the day, my battery was still kaput. But, the reason why is because I spend a lot of my time in line during the day. 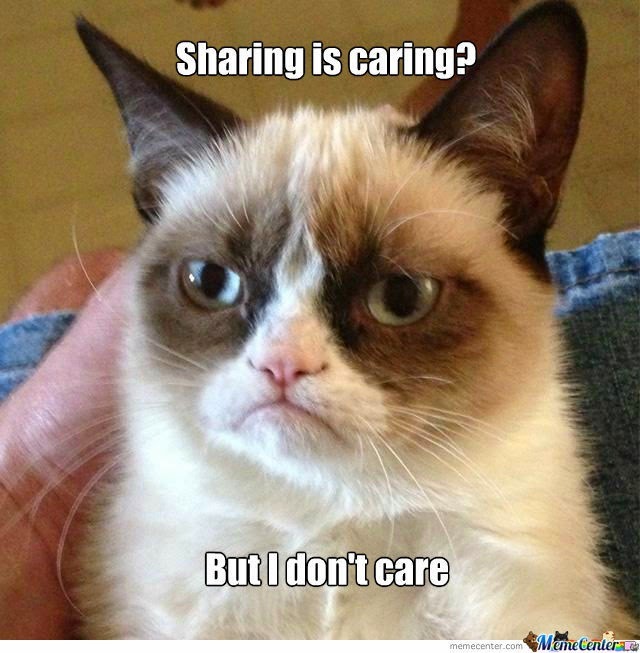 And yes, I talk to others around me and look at my books. But, I also text my friends. Play a few rounds of Candy Crush. Look at the pictures I've taken. Call my husband. And, my iPhone's battery takes a beating from all that use. Luckily, you can pick up a small portable charger for under $15 that will fix you right up and keep you connected. So, there's a book you just have to have. And, of course, the author is signing it at exactly the same time as another book you just have to have. Despite your best efforts, you miss one of the signings. And you're super bummed out. Get used to that feeling, BTW - you'll experience it more than once over the course of the week. But, all is not necessarily lost. If the signing you missed was in the author autograph area, shortly after the signing is over, if there are any books left, they will be delivered to the publisher's booth. And, sometimes, all you have to do is swing by and ask if they have any left. If they do, they'll likely hand one over to you. It's just that easy. 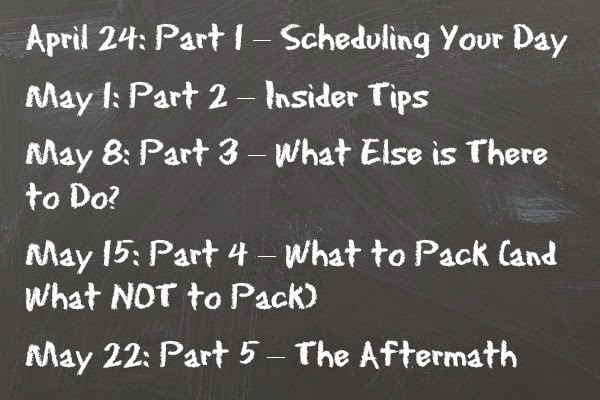 BEA Prepared Part 3: What Else Is There To Do?